Survival of the fittest: humanity vs. bacteria. Can you imagine a world without effective antibiotics where an infected cut, chemotherapy treatment or a routine operation such as having your appendix removed could be life threatening? In 1928 Alexander Fleming revolutionised the field of medicine through his accidental discovery of penicillin – the world’s first antibiotic. Antibiotics are now one of the most important weapons in our armoury against disease. However, fast forward by almost a century and we’re faced by the ticking time-bomb that is antimicrobial resistance (AMR). AMR develops when microorganisms (such as bacteria) are exposed to antimicrobial drugs (such as antibiotics) and change in a way that reduces the effectiveness of the antimicrobial. Without effective antibiotics bacteria multiply and remain in the body, increasing the likelihood of the infection spreading to others. AMR occurs naturally but the overuse and misuse of antibiotics speeds up this process. Due to AMR, common diseases such as tuberculosis, HIV, malaria, sexually transmitted diseases and pneumonia are becoming increasingly difficult to treat. Worryingly, some cases of tuberculosis and gonorrhoea have even shown resistance to antibiotics of last resort. The pharmaceutical industry has a vital role to play in the fight against AMR by reinvigorating the antibiotic pipeline. Progress so far has been slow and only two new antibiotic classes have been discovered in the last four decades. To help financially incentivise innovation in the research and development of new antimicrobials, initiatives have been implemented both nationally and internationally. However, new antibiotics alone won’t be sufficient to overcome the AMR crisis – unless they are used sparingly, bacteria will simply develop resistance. In recent years we have seen momentum in the fight against AMR building through concerted action from governments and health organisations. One of the objectives of the WHO’s Global Action Plan on Antimicrobial Resistance is to optimise the use of antimicrobial medicines. 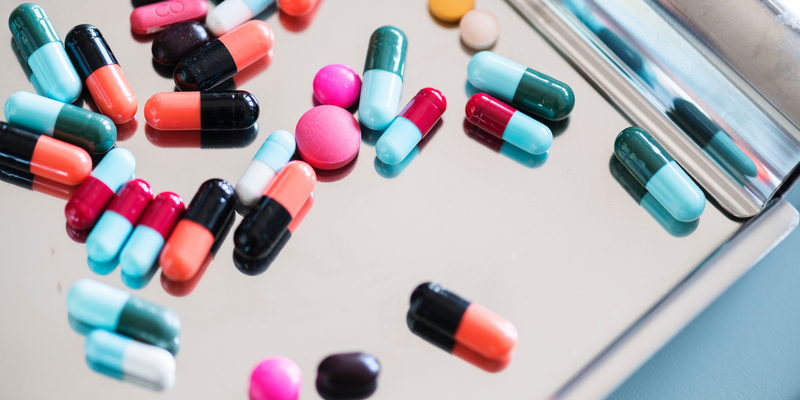 Aligned to this objective, last year Public Health England launched a national campaign to support the government’s efforts to reduce inappropriate antibiotic prescribing by raising awareness of AMR and reducing antibiotic demand from the public. Society also has a role to play and it’s important that patients are aware of the importance of taking a course of antibiotics as prescribed. Outside of the medical community antimicrobials are frequently used in livestock production, fish farming and crop growing to assure quality and safety. However, antimicrobials are also commonly added to animal feed to promote growth, a practice which has now been banned in several countries in a bid to tackle the emergence of resistant bacteria in livestock. AMR is undoubtedly one of the biggest public health challenges of our generation. But I believe that through a unified multi-stakeholder approach, involving commitment, innovation and behavioural change from governments, leading organisations, healthcare, agricultural and food industries, as well as society, this is a fight that we are able to win.